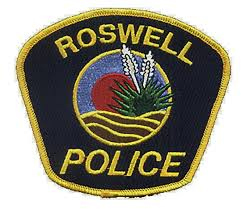 The Roswell Police Department is investigating a homicide that occurred Monday in the city. A 46-year-old woman was found dead in a west Roswell apartment around 8:25 p.m. Monday evening. A 55-year-old man was also found suffering from serious injuries. He remains hospitalized in critical condition but is expected to survive. RPD investigators have identified a possible suspect. No further information is available at this time. Anyone with potential information regarding the case is asked to call the RPD at 624-6770 or, anonymously, Chaves County Crime Stoppers at 1-888-594-TIPS (8477).